The Perfect Color. The Perfect Look. Set the tone of your production with Filters 5 Ultimate. Featuring 27 color enhancing effects that let you easily recreate the look of film with color and grain, add organic light leaks, and enhance the quality of your footage. Enhance the quality of your images with powerful primary and secondary color correction. Emulate classic film looks and cinematic styles to develop a unique visual language. Saturate, tint, and separate your colors. Modify your videos to achieve refined looks. Add a new look to your footage with frame rate, lens depth, and focus. Distort and recolor images to give them an entirely new feel. NewBlue ColorFast delivers primary and secondary color correction in a single, simplified workflow. 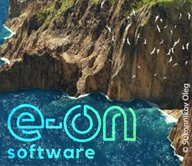 NewBlue Filters 3 Recreate delivers 7 video filters that quickly enhance footage color, create vignettes and diffuse light. NewBlue Filters 3 Recolor delivers 7 versatile video filters that quickly replace color, apply gradient tints and correct saturation. Create vintage and classic film looks easily by applying tint or fixing exposure and saturation. Push your results even further by applying new film grain and vignette options. Add a warm look with natural film grain. Each frame is unique with our organic sources and positional algorithm. Emulate positive and negative film emulsions with balance over grain in highs and lows. Remove original video noise before applying grain for an unencumbered result. Control size, strength and blend modes for the perfect look. Create and control your own light leaks for just the right look. Adjust the leak variation, saturation, strength, blending modes, speed and frequency. Apply a dreamy glow with a color cast to create deep atmosphere. Add ethereal glows, enhanced with flexible blend modes. Remake an image into 2-tone art, enhanced with flexible blend modes. Add in color tint across your image, enhanced with flexible blend modes. Bleach Bypass - Transform your digital video into an antique film. Color Replace - Change the color of different objects without harshening the raw details. 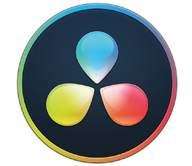 ColorFast - Create perfect videos with the ultimate color correction and color grading tool. Colorize - Experiment with the colors of your image and dramatize your picture. Day for Night - Make your daytime footage look like it was filmed at night. Diffusion - Add a soft glow to your footage to change the color and focus of your image. Dream Glow - Create effortless light by amplifying lighter regions with a soft glow. Duochrome - Create retro and metallic-looking images with 2 chrome-like colors. Film Color - Modify color and adjust lighting to recreate the classic look of film. Fish Eye - Distort images to simulate the look of an ultra-wide fishbowl lens. Frame Rate - Convert live footage into a dynamic sequence of photos. Gradient Tint - Intensify the colors of your picture with a variety of filters. Old TV - Manipulate your footage to recreate the look of classic tube televisions. Saturation EQ - Separate the color spectrum to choose colors you want to enhance. Saturation Modifier - Separate your image into saturated regions to correct each area. Selective Color - Focus on one color in an image, then make everything else black and white. Selective Tint - Define certain regions, then adjust and change their tint. 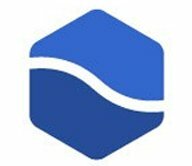 Soft Focus - Blur regions of video to smooth harsh lighting, lines, or blemishes. Spotlight - Overlay a specific region onto a preset backdrop to spotlight it. Tilt Shift - Create depth of field in your video to spotlight a particular region. Tint - Adjust the color balance and completely transform your video. Vignette - Use these preset vignettes to creatively frame your video. Ian Stark shows you how to recreate a film noir look using Film Color from the Filters collection. Ian Stark shows you how to add a stop-start effect to your videos using Frame Rate from the Filters collection. Ian Stark shows you how to completely transform your shot using Tilt Shift from the Filters collection. Ian Stark shows you how to use the skin preservation feature in ColorFast from the Filters collection. Shahriar Rahman shows you how to use the secondary correction in ColorFast to change only a portion of a shot. Shahriar Rahman shows you how to use the skin and shape masks within Filters ColorFast. Everything you need to know from installation to customization with these in-depth walkthroughs. This Filters 5 Overview will walk you through all of the new updates and new effects available in Filters 5 Ultimate.